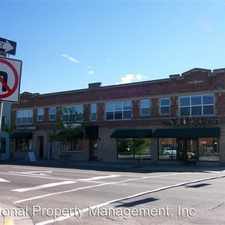 The rent at 204 E Pine / 420 N Pattee Apartments ranges from $775 for a one bedroom to a $775 one bedroom. Apartments in this building are about 2% more expensive than the Heart of Missoula average. 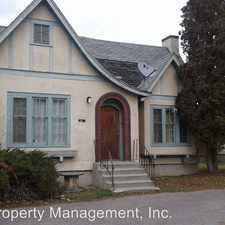 This apartment is in the Heart of Missoula neighborhood in Missoula. Nearby parks include Mullan Statue, Burlington Northern Plaza and Caras Park. 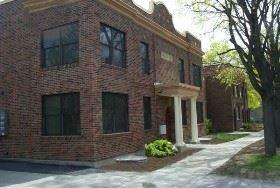 204 E Pine / 420 N Pattee Apartments has a Walk Score of 90 out of 100. This location is a Walker’s Paradise so daily errands do not require a car. Charming buliding, close to U and Downtown. - Upper level unit in downtown Trask Apartments. Secure main door entrance with intercom system. Vinyl flooring that resembles wood in living room and kitchen. Kitchen is very spacious with breakfast bar, DW and smooth top stove. Coin-ops in building. Close to art museum, restaurants, hiking trails and shopping! 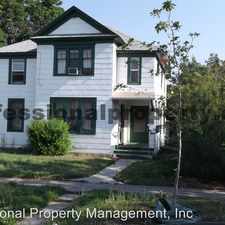 Tenant is provided with lease addendum and house rules. This is a no pet property. We will request that all applicants provide proof of good credit and rental history. No smoking of any kind, including e-cigarettes/vape pens. * Tenant is provided with lease addendum and house rules. * Tenant is responsible for heat, gas, electric and renter's insurance. * Owner is responsible for water, sewer, lawn care, snow removal and garbage. This property is move in ready! Keys can be checked out to view the property. Explore how far you can travel by car, bus, bike and foot from 204 E Pine / 420 N Pattee Apartments. 204 E Pine / 420 N Pattee Apartments has good transit which means many nearby public transportation options. View all Heart of Missoula apartments on a map. 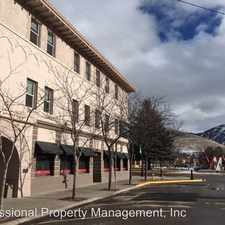 226 S. 6th St E.
204 E Pine / 420 N Pattee Apartments is in the Heart of Missoula neighborhood. Heart of Missoula is the 3rd most walkable neighborhood in Missoula with a neighborhood Walk Score of 70.